Sometimes it's useful to monitor traffic between a client and the server for debugging or to figure out how something works. 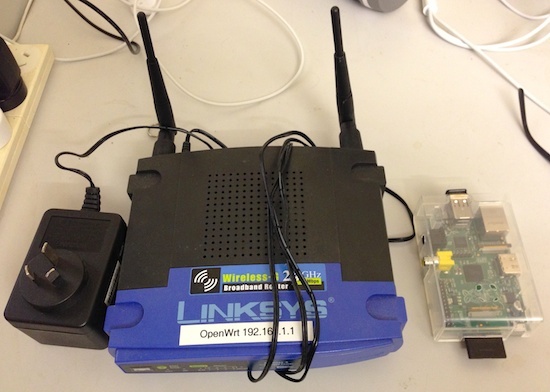 In the past I've used a Linksys WRT54gl router which can be flashed to run OpenWRT. These devices don't have much free space so recently I've started using a Raspberry Pi for the same purpose. It's much more compact and more capable. To create a Wifi hotspot with a Raspberry Pi, I followed the instructions at Adafruit. The system needs a dhcp server to give out addresses to wifi clients, hostapd to authenticate clients and some iptables commands to nat the addresses of TCP requests going through the device. The Wifi USB dongle I purchased is an Edimax Nano USB WiFi adapter (EW-7811Un) which cost $35 over the counter. These seem to work well with the Pi's limited power budget and are capable of being a hotspot. My network is called "honeypot". You can see they are talking to flurry and crashlytics, but the display is not very convenient for seeing what's going on. 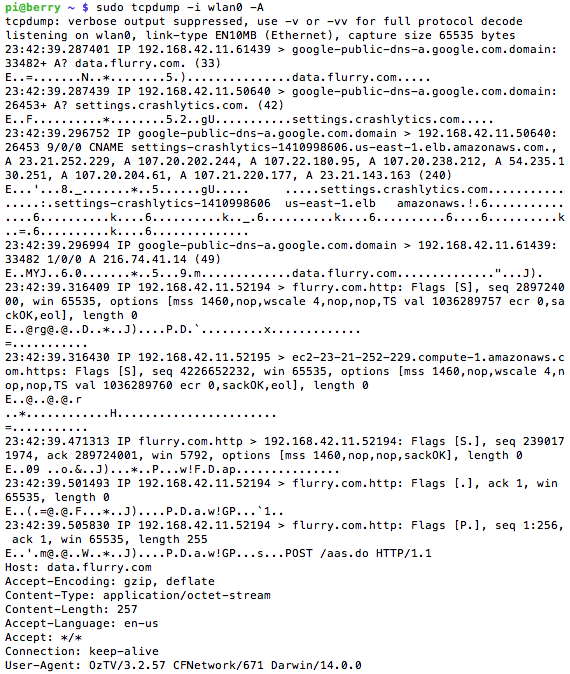 A more friendly way to watch HTTP traffic is to use a proxy such as mitmproxy. Then set the proxy on the device to point to it. 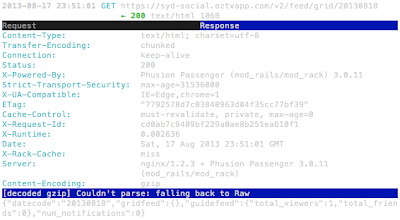 Now in our terminal we see a nice summery of each request. Lots of interesting things to learn in there! I typically then use the MacOS JSON Edit program for exploring json data (there's lots of tools around for this). So, a $38 raspberry pi plus a $35 Edimax wifi dongle, makes a pretty nice Wifi hotspot with advanced network inspection capabilities. Thanks for posting the article, but you got swindled on the edimax. It's 10$ on Amazon. Ha, wow $10 for the Edimax? I'll have a look around - thanks. Very interesting. In the past when I have wanted to analyze the network traffic of some mobile application I am testing (or some malware), I have used the same router (WRT54GL with DD-WRT installed). While as you mentioned, the on-board memory for the router is quite small to store the dumps, there are two ways to by-pass that. 1. Mess with the IP Tables to forward all traffic to another computer on the network. This is what I have actually done. 2. DD-WRT supports SMB (CIFS), so it is possible to maintain a location on another computer on the network to save the traffic. I have not done this before so it is just brain storming and what I have seen other people doing. Thanks for the article, I recently used this as the basis for a research project in which we built an AP that can save snapchats sent or received from a connected device. I used a script based largely of yours for this purpose(properly credited in the report). In using your script however I noticed why you are having issues with SSL, it lloks like you accidently wrote 433 as the port for HTTPS when it is actually 443. Hope that helps.